The next generation Qualcomm Snapdragon SoCs are being sampled to OEMs according to Qualcomm. The upcoming Snapdragon Mobile Platform will be built on the 7nm process and will work together with the Snapdragon X50 5G modem to power the next generation of mobile devices as we head into 2019. Qualcomm has started seeding the next generation Snapdragon Mobile Platform to OEMs for testing and evaluation in course for an official unveiling in Q4 2018. The new Snapdragon SoC will be built on a 7nm process, possibly by TSMC, and will work best with the Qualcomm Snapdragon X50 5G modem. 5G rollout is expected to begin towards the end of this year and Qualcomm's new Mobile Platform is expected to be a front-runner in the transition to 5G. We are very pleased to be working with OEMs, operators, infrastructure vendors, and standards bodies across the world, and are on track to help launch the first 5G mobile hotspots by the end of 2018, and smartphones using our next-generation mobile platform in the first half of 2019." We've not heard much about Qualcomm's plans for the next generation Snapdragon Mobile Platform apart from the fact that it will be based on a 7nm process. There have been whispers about a new Razer Phone successor in the works, which will apparently sport the Snapdragon 855. However, word on the street is that Qualcomm might opt for a new nomenclature from this generation apparently referred to as SDM8150 in order to distinguish smartphone SoCs from those designed for Windows 10 on ARM notebooks. Qualcomm is bullish on making headway in the 5G space by offering the first 5G NR-ready modem in the Snapdragon X50. Field testing of the Snapdragon X50 is underway with major carriers across the world and 5G services are slated to debut in the US by end of this year. Recently, the company also unveiled compatible antennas for the Snapdragon X50 that can operate in the mmWave and sub-6 GHz frequencies. 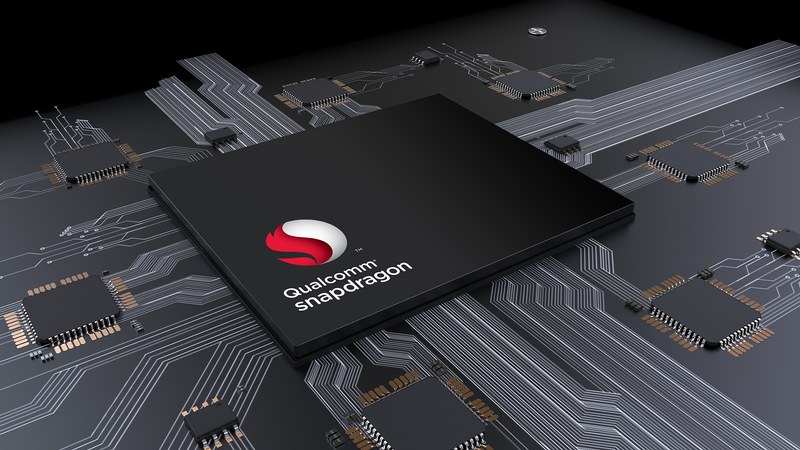 The launch of a new Snapdragon SoC towards the end of the year is always a bit irksome for those looking to buy flagship Android devices between Q3 to Q4. This year, Google will be launching the new Pixel 3 and Pixel 3 XL in October, LG is expected to launch the V40 ThinQ sometime between October-November, and Sony is expected to reveal the Xperia XZ3 during IFA 2018. So, buyers will essentially be left with an older chipset through the major part of next year. #FirstWorldProblems. Most smartphone vendors, however, will be announcing new refreshes of flagships towards MWC 2019 so it will still be a while before a new SoC reaches our hands. MediaTek, Qualcomm's main competitor in the budget smartphone space, is also expected to rollout 7nm SoCs towards the end of this year. Nevertheless, it will be interesting to see what improvements a 7nm chip brings to the table in terms of compute and power efficiency. We should be getting some tidbits of information on benchmarking sites as OEMs test the new SoC so do watch out for those. SAN DIEGO, Aug. 22, 2018 /PRNewswire/ -- Qualcomm Technologies, Inc., a subsidiary of Qualcomm Incorporated (NASDAQ : QCOM ), announced that its upcoming flagship mobile platform will feature a system-on-chip (SoC) built on the 7nm process node. The 7nm SoC can be paired with the Qualcomm® Snapdragon™ X50 5G modem, which is expected to be the first 5G-capable mobile platform for premium tier smartphones and other mobile devices. Qualcomm Technologies has begun sampling of its upcoming flagship mobile platform to multiple OEMs developing next-generation consumer devices. The upcoming platform will transform industries, encourage new business models and improve the consumer experience as operators come online with 5G services later in 2018 and through 2019. "We are very pleased to be working with OEMs, operators, infrastructure vendors, and standards bodies across the world, and are on track to help launch the first 5G mobile hotspots by the end of 2018, and smartphones using our next-generation mobile platform in the first half of 2019," said Cristiano Amon, president, Qualcomm Incorporated. "Qualcomm Technologies' continued leadership in research and engineering allows for a future of increased innovation across multiple sectors as 5G connectivity becomes ubiquitous." This flagship mobile platform with 5G is designed to enable premium connected devices that bring new intuitive experiences and interactions with power-efficient on-device AI, superior battery life, and performance while extending globally to innovative technologies, solutions, experiences and applications in automotive and IoT. Full details regarding the next-generation flagship mobile platform from Qualcomm Technologies is planned to be announced in the fourth quarter of 2018. In addition to the historical information contained herein, this press release contains forward-looking statements (as defined in the U.S. Private Securities Litigation Reform Act of 1995) that are inherently subject to risks and uncertainties, including but not limited to statements regarding the commercial availability of certain products, the anticipated capabilities and design features of such products, the timing of such availability, and the value, benefits and advantages Qualcomm Technologies' products may provide to OEMs and their products, technologies and businesses. Words such as "anticipate," "believe," "estimate," "expect," "forecast," "intend," "may," "plan," "planned," "project," "predict," "should," "will," and similar expressions are intended to identify such forward-looking statements. These statements are based on our current expectations or beliefs and are subject to uncertainty and changes in circumstances. Actual results may differ materially from those expressed or implied by the forward-looking statements herein due to a number of important factors, including but not limited to changes in economic, business, competitive, technological, strategic and/or regulatory factors, and other factors affecting our operations, our customers' and licensees' sales of products and services based on these products, and our customers' demand for our products and services; competition in an environment of rapid technological change; our dependence on a small number of customers and licensees; our dependence on the premium-tier device segment; and our ability to extend our technologies, products and services into new and expanded product areas and adjacent industry segments. These and other risks are set forth in Qualcomm Incorporated's Annual Report on Form 10-K for the fiscal year ended September 24, 2017 filed with the SEC. Our reports filed with the SEC are available on our website at www.qualcomm.com. We undertake no obligation to update, or continue to provide information with respect to, any forward-looking statement or risk factor, whether as a result of new information, future events or otherwise.